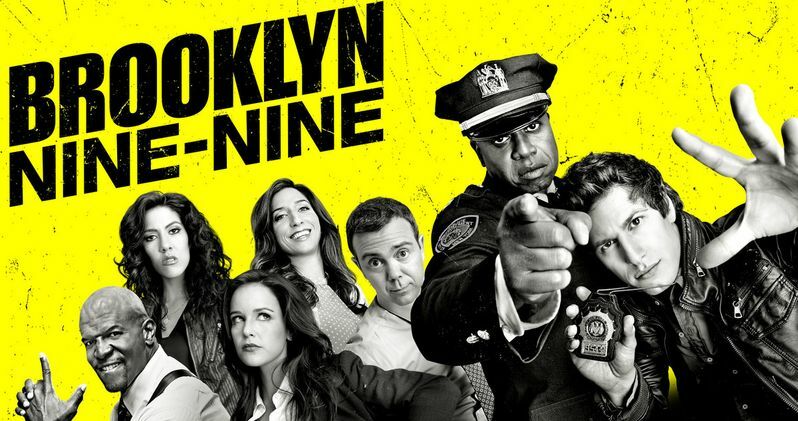 Fox has ordered Season 3 of Brooklyn Nine-Nine, it was announced today by Dana Walden and Gary Newman, Chairmen and CEOs, Fox Television Group. In Defense Rests, the next all-new episode of Brooklyn Nine-Nine, airing Sunday, Jan. 25 (8:30-9:00 PM ET/PT), Sophia's (guest star Eva Longoria) job gets in the way of her relationship with Jake (Andy Samberg), so Jake tries to smooth things over with her boss (guest star Chris Parnell). Meanwhile, Wuntch (guest star Kyra Sedgwick) needs Holt's (Andre Braugher) help for a job recommendation. Created and written by Dan Goor and Michael Schur, Brooklyn Nine-Nine stars Andy Samberg as a talented, but carefree, detective and Andre Braugher as his by-the-book precinct captain. Brooklyn Nine-Nine is produced by Universal Television, 3 Arts Entertainment and Fremulon. The series is created and written by Dan Goor and Michael Schur. The series is executive-produced by Goor, Schur and David Miner. The pilot was directed by the team of Phil Lord and Chris Miller. Fox has renewed hit drama series Empire for Season 2, it was announced today by Dana Walden and Gary Newman, Chairmen and CEOs, Fox Television Group. In the next all-new episode of Empire, "The Devil Quotes Scripture," airing Wednesday, Jan. 21 (9:01-10:00 PM ET/PT), the Lyons head to Philadelphia for Bunkie's funeral and get a taste of what their life could have been if Lucious (Terrence Howard) hadn't made it big. Then, Lucious promotes Hakeem's (Bryshere Gray) new relationship with hip-hop star Tianna (guest star Serayah), but tensions rise when another woman tries to catch Hakeem's eye. Supermodel Naomi Campbell, Academy Award winner Cuba Gooding, Jr. ("Jerry Maguire") and music legend Gladys Knight guest-star. Averaging a 5.3 rating in Nielsen's Most Current measure, Empire has emerged as the No. 1 new series of the season. Following its second episode, it is the only new broadcast drama this season to grow from week one to week two. From Academy Award nominee Lee Daniels, Emmy Award winner Danny Strong and Academy Award- and Emmy Award-winning producer Brian Grazer, comes Empire, a drama about a family dynasty, set within a world of music, glamour, danger and power. Featuring music by prolific producer Timbaland, the series stars Academy Award nominee Terrence Howard and Academy Award and Emmy Award nominee Taraji P. Henson. Empire is from Imagine Television in association with 20th Century Fox Television. The series is created by Lee Daniels and Danny Strong. The pilot is written by Daniels and Strong. The series is executive-produced by Daniels, Strong, Brian Grazer, Ilene Chaiken and Francie Calfo. Daniels directed the pilot.